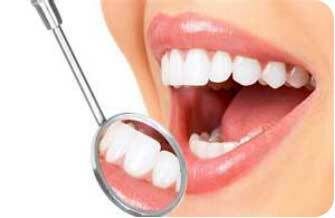 Dental Cleaning is the expert cleaning one can take from a dentist. Dental cleaning include three important steps. This involves the plaque and tartar removal from all tooth surfaces. With larger deposits that have hardened on, it can take some time to eliminate. The number of times one needs to return to Dentist depends on how prevalent the case of gum disease is. Contained cases can be treated in a single scaling session. 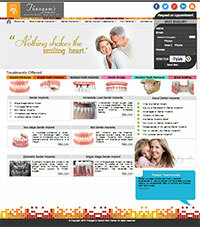 However, cases spread throughout the mouth generally take several visits to treat. Polishing is done using a measured speed hand piece with a soft rubber cup that spins on the end. Prophylaxis paste - a special gritty toothpaste-like matter - is scooped up like ice cream into the cup and spun around on the teeth to make them shiny smooth. The principle of the scaling and polishing is basically to leave the surfaces of the teeth clean and smooth so that bacteria are unable to stick to them have better chance of keeping the teeth clean during regular home care. Also, it leaves the teeth feel exquisite, even and spotless. This is the end part of dental cleaning. The fluoride helps to strengthen the teeth since the acids from bacteria in dental tartar and plaque will have weakened the surfaces. There are several different types of fluoride available today.